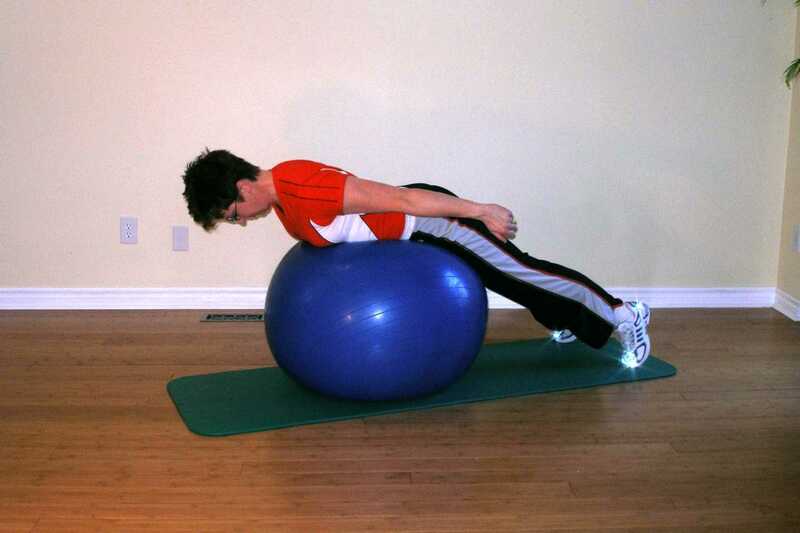 Start this exercise ball rotator cuff exercise by kneeling in front of the ball. 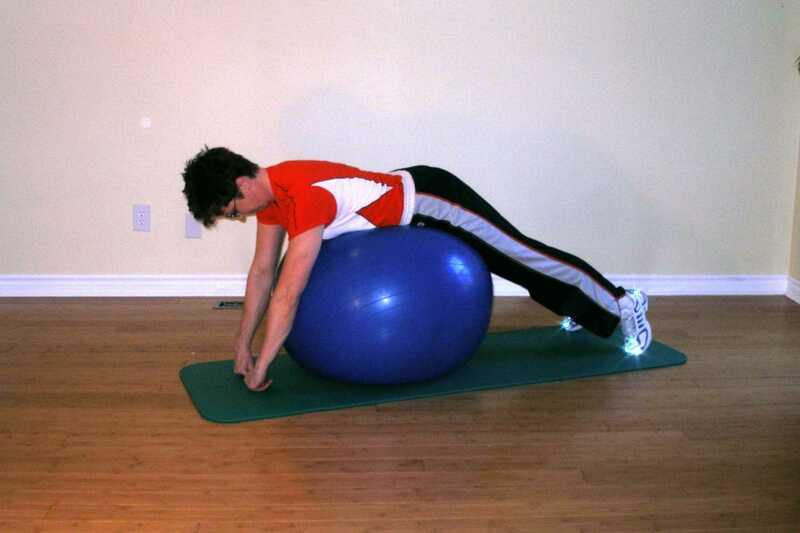 Stretch forward over the exercise ball so that your waist is over the top your stability ball. Keep your chest slightly raised and chin tucked. Hold your shoulder blades slightly down and back. Raise your arms out to your sides at 45 degrees to your trunk with your thumbs pointing down toward the floor. Squeeze your shoulder blades together as you reach the top. Keep your neck straight, chin tucked and chest up to strengthen neck stabilizers. Pushing your tongue against the roof of your mouth and gripping an imaginary grapefruit between your chin and your chest help to engage the deep neck flexors. The ball should remain motionless throughout this exercise. Letting your chin poke or talking to your gym buddy while you do this exercise leaves your neck at risk for injury. Try lifting one of your feet off the ground while you perform this exercise to challenge balance. This ball exercise biases infraspinatus and teres minor, muscles that are very active in controlling your shoulder during the end phases of the throwing motion. This is therefore great for throwers and baseball players. More exercise ball exercises for throwing.